Unadjusted Closing prices now incorporate Historical Adjustments that affect price precision. Database Integrity Search errors handled. 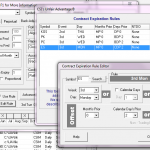 Historical Contracts in protfolios are no longer rewritten when corrections are received for unassociated contracts. Charts no longer freeze when added to Charts Portfolio. New backadjust option for Representative Prices: Close Old Contract, Close New Contract Next Day ( formerly Close Old Contract, Close New Contract Same Day ). 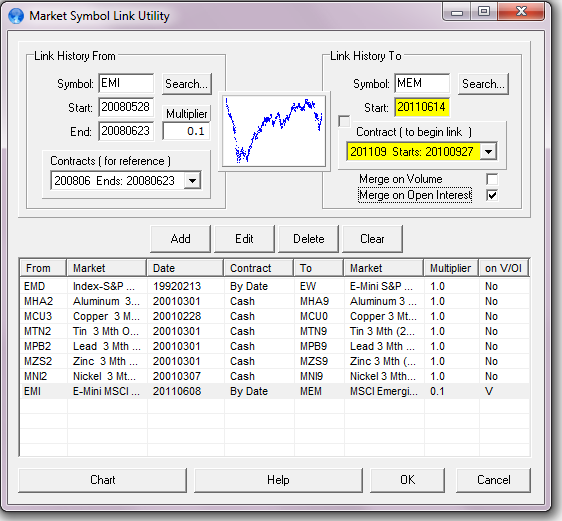 Supports AmiBroker 64-bit Version ( must not coexist with 32-bit version . Bureau of Labor, Federal Reserve, Construction Spending, Personal Income Data now updating properly. Click here to download build 118. Need help with the installation? Click here. 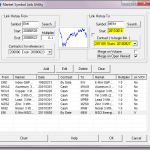 Amibroker Portfolio Exporting bug corrected. 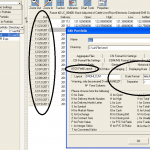 CSIM/MetaStock file management deletion bug corrected. Perpetuals can now be set to look forward up to 15 months out. New contract rolling schedule located off the Portfolio menu. Fortran Back-Adjuster now strips out reconciling records that trail expiry. 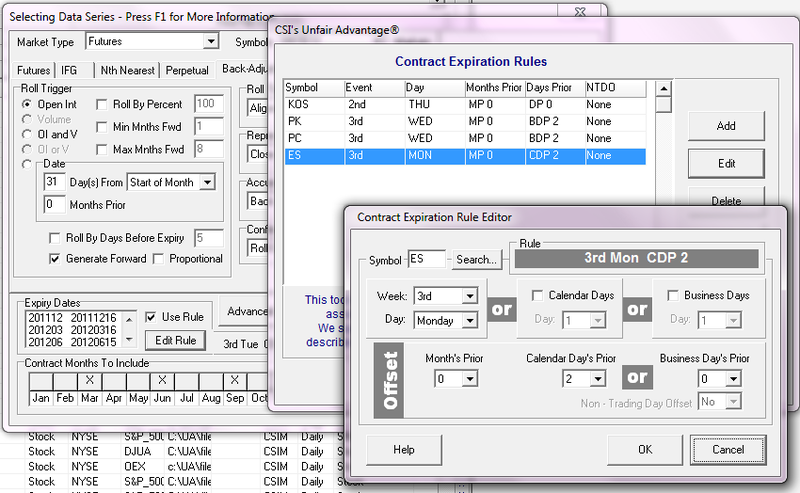 Markets with only options are identified in the factsheet’s last date field, where as the previous version would display a -1. Rolling by Date with representative prices set to Close Old Contract, Close New Contract same day now uses the close of the new contract in the close of the day before the roll. This change was done to match the results of the Fortran Back-Adjuster, which handles this in a more correct way. 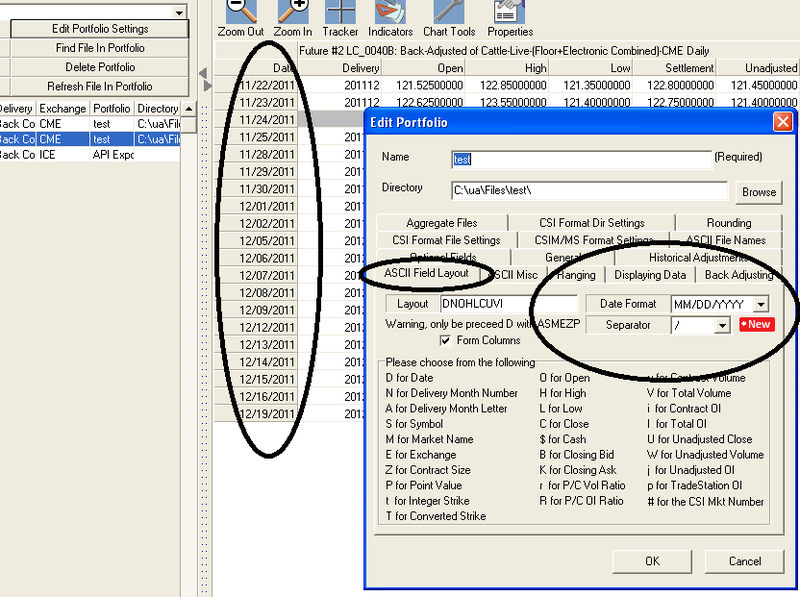 The close value of the backadjusted file on 31st Jan should be = Sep 11 close = 99.480. The old adjuster does this correctly, the C++ adjuster gives a value of 99.465. It now uses the close for the Sep 11 on the 31st, not the close on the 1st. It was duplicating the close over those 2 days. Click here to download build 117. New Back-Adjuster option to roll on a percent of the nearest Open Interest and/or Volume. Also available for use with the Nth Nearest Future Contract. Rolling on Open Interest and/or Volume is now limited to the next nearest year forward. New historical database portfolio builder.